Note: the laws are written in indirect statement. Cf. also Copernicus I.x lines 52-55. 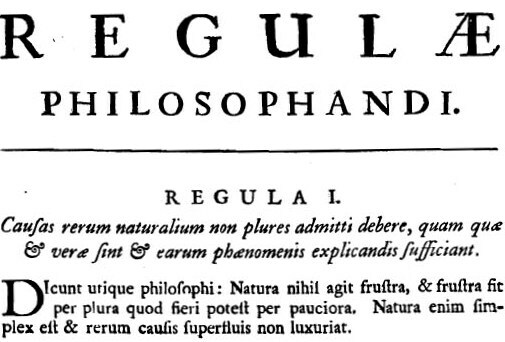 For a reaction against a multitude of seemingly unnecessary rules, see also Descartes, Dissertatio II.ii lines 1-10.
line 1: effectuum naturalium: with “eaedem . . . causae” translate with assignandae sunt. remitti: to be relaxed, diminished, reduced in degree [Those which cannot be diminished cannot be completely taken away]. These relate to the medieval concept of “latitude of forms” of qualities which could be quantified, and thus undergo “intension” or “remission” by degrees. 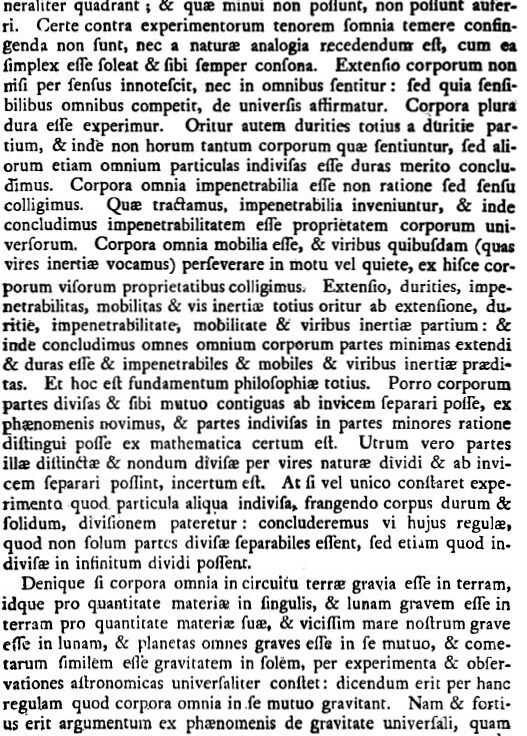 The five universal qualities found in the first paragraph are: extensio, durities, impenetrabilitas, mobilitas, and vis inertiae.